Georgina Bloomberg is an accomplished professional show jumper based in New York City, N.Y., North Salem, N.Y., and Wellington, Fla. Bloomberg represented the United States Equestrian Team at the 2015 Pan American Games in Toronto, Canada, where she earned a Team Bronze medal. 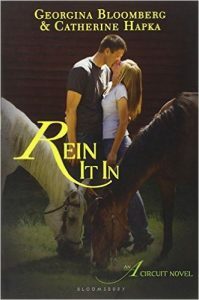 In addition to a successful equestrian career, Bloomberg has co-authored four young adult novels about the equestrian show circuit, The A Circuit, and is well known for her philanthropic efforts, particularly for her extensive animal welfare work and for founding The Rider’s Closet in 2006. Born in New York City on January 20, 1983, Bloomberg is the the daughter of former New York City Mayor Michael Bloomberg and Susan Brown. An animal lover from a very young age, Bloomberg began riding at the age of 4. 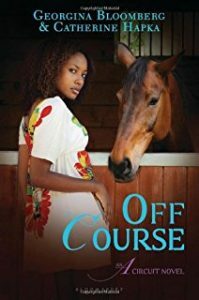 Her success as a child rider was notable, winning Best Child Rider awards at every major horse show on the East Coast before turning her attention exclusively to show jumping in 2001. She went on to win the USET Talent Derby in 2001 and two gold medals at the FEI North American Young Riders’ Championships (team gold in 2002 and individual gold in 2003). In 2004, Bloomberg won the coveted USET Maxine Beard Award, which recognizes accomplishments by an up-and-coming show jumper. The same year, she also won the Derby of Drammen. The following year, she made her FEI World Cup Final debut and was a member of the first, winning U.S. team in the Samsung Super League Nations Cup team at La Baule, France. From there, Bloomberg gained numerous show jumping victories, including winning five WEF Challenge Cup titles since 2005 in Wellington; first place at the $75,000 Empire State Grand Prix at the 2010 Lake Placid Horse Show; in 2014, she anchored the U.S. team victory at the Furusiyya Nations Cup in Gijon, Spain with a double clear performance; she triumphed at the inaugural $210,000 Central Park Grand Prix CSI3* later that same year; and she claimed victory at the $127,000 Adequan® Grand Prix CSI3* at the 2015 Winter Equestrian Festival in Wellington-just to name a few. In 2016, Georgina had the opportunity to participate in the inaugural season of the Global Champions League in the capacity as both a rider and team owner. Developed by Jan Tops and Frank McCourt, co-owners of the Longines Global Champions Tour, the revolutionary new show jumping format unites squads of five riders over two rounds of 1.55m level competition held on the Friday of each LGCT stage. Previous owner of the GCL Team Miami Glory and now new owner of the New York Empire, Georgina, along with an impressive line-up of athletes including London Olympic gold medalist Scott Brash, Irish veteran Denis Lynch, Germany’s Hans-Dieter Dreher, U.S.-based Daniel Bluman, who competes for Israel, and the USA’s rising U25 star Spencer Smith, they will tackle the 2019 edition of the exciting new Global Champions League season. These wins and top placings have highlighted her growing career as a top level show jumper, a profession she has excelled in despite taking time off due to two major injuries in 2002 and 2010. In addition to her riding career, Bloomberg is the proud mother of son, Jasper, who was born in New York in December 2013. Education: Graduated in 2010 from New York University’s Gallatin School of Individualized Study with a BA in Individualized Studies with a concentration on Sports Business and Marketing, and Studio Arts. Studied at Parsons Fashion Design College in 2012. Pets: Five dogs, two miniature horses, two mules, one pig, one goat, one carriage horse, and retired horses at Gotham North in New York—all rescues. 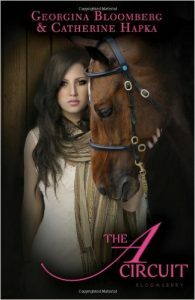 Written Work: Co-Author of the young adult 4-book series, The A Circuit. April 7, 2019 – 17th place in the Longines FEI Jumping World Cup Final with Chameur 137 in Gothenburg, Sweden. March 29, 2019 – 6th place in the $6,000 Bainbridge 1.40m Open Jumpers with Crown 5 during the Winter Equestrian Festival Week 12 in Wellington, FL. March 14, 2019 – 3rd place in the $36,000 CSI3* Equinimity WEF Challenge Cup Round 10 aboard Manodie II H during the Winter Equestrian Festival Week 10 in Wellington, FL. March 7, 2019 – 5th place in the 1.35m Open Jumper aboard Manodie II H during the Winter Equestrian Festival Week 9 in Wellington, FL. March 7, 2019 – 9th place in the $134,000 CSI5* Equinimity WEF Challenge Cup Round 9 aboard Chameur 137 during the Winter Equestrian Festival Week 9 in Wellington, FL. March 6, 2019 – 6th place in the 1.35m Open Jumpers aboard South Street during the Winter Equestrian Festival Week 9 in Wellington, FL. March 1, 2019 – 9th in the $36,000 FEI 1.45m Classic aboard Crown 5 during the Winter Equestrian Festival Week 8 in Wellington, FL. February 28, 2019 – 6th place in $25,000 Pro-Elite Jumper Classic aboard Tulara Colmine during the Winter Equestrian Festival Week 8 in Wellington, FL. February 27, 2019 – 3rd place in Lugano Diamonds CSIO Welcome aboard Cessna 24 during the Winter Equestrian Festival Week 8 in Wellington, FL. February 23, 2019 – 7th place in $391,000 Palm Beach Equine Clinic Grand Prix CSI5* aboard Chameur 137 during the Winter Equestrian Festival Week 7 in Wellington, FL. 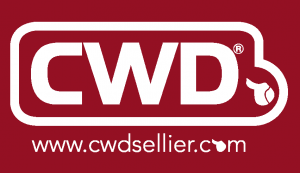 February 8, 2019 – 9th place in the $72,000 CaptiveOne Advisors 1.50m Classic CSI5* aboard Cessna 24 during the Winter Equestrian Festival Week 5 in Wellington, FL. February 7, 2019 – 4th place in the 1.30m Open Jumper on South Street during the Winter Equestrian Festival Week 5 in Wellington, FL. February 2, 2019 – 8th place in the $71,200 NetJets Classic aboard Chameur 137 during the Palm Beach Masters in Wellington, FL. January 24, 2019 – 5th place in 1.40m class on Tulara Colmine during the Winter Equestrian Festival Week 3 in Wellington, FL. January 23, 2019 – 6th place in 1.40m class on Cessna 24 during the Winter Equestrian Festival Week 3 in Wellington, FL. January 10, 2019 – 2nd and 3rd place in 1.45m Open Jumper aboard Crown 5 and Quibelle during the Winter Equestrian Festival Week 1 in Wellington, FL. November 15, 2018 – 2nd place in $40,000 Las Vegas National Welcome Jumper Speed Classic aboard Chameur 137 during the Longines FEI Jumping World Cup™ Las Vegas in Las Vegas, NV. October 26, 2018 – 1st place in $50,000 International Jumper Speed Final aboard Paola 233 during the Washington International Horse Show in Washington, D.C.
October 20, 2018 – 3rd place in $100,000 Longines FEI Jumping World Cup™ Del Mar, presented by EQ International Real Estate, aboard Chameur during the Del Mar International in Del Mar, CA. October 6, 2018 – 4th place in $100,000 Longines FEI Jumping World Cup™ Sacramento, presented by Lasher’s Elk Grove Dodge Chrysler Jeep Ram, aboard Chameur during the Sacramento International in Rancho Murieta, CA. October 6, 2018 – 2nd place in $10,000 Morning Star Sporthorses 1.40m CSI3* aboard Cessna 24 during the Sacramento International in Rancho Murieta, CA. October 5, 2018 – 4th place in $36,500 Murieta Inn, Spa & Restaurant 1.45m CSI3* aboard Cessna 24 during the Sacramento International in Rancho Murieta, CA. August 26, 2018 – 1st place in $30,000 Boar’s Head Jumper Challenge aboard Paola 233 during the Hampton Classic in Bridgehampton, NY. July 15th, 2018 – 3rd place in 1.40m CSI2* aboard Manodie II H during the Knokke Hippique Summer Series Week 3 in Knokke, Belgium. July 14, 2018 – 2nd place in 1.55m CSI3* aboard Crown 5 during the Knokke Hippique Summer Series Week 3 in Knokke, Belgium. June 30th, 2018 – 3rd place in 1.45m CSI2* aboard Paola 233 during the Longines Global Champions Tour of Monaco in Monte Carlo. June 29th, 2018 – 1st place in 1.40m CSI2* aboard Paola 233 during the Longines Global Champions Tour of Monaco in Monte Carlo. May 30th, 2018 – 3rd place in the $35,000 International Open Speed Stake CSI4* aboard Paola 233 during the Devon Horse Show in Devon, PA.
May 29th, 2018 – 6th place in the $50,000 Jet Run Devon Welcome Stake CSI4* aboard Manodie II H during the Devon Horse Show in Devon, PA.
May 20th, 2018 – 10th place in the $131,000 Empire State Grand Prix aboard Manodie II H during Old Salem Farm Spring II in North Salem, NY. May 13th, 2018 – 10th place in the $50,000 Old Salem Farm Grand Prix aboard Crown 5 during Old Salem Farm Spring I in North Salem, NY. May 10th, 2018 – 2nd place in the 1.30m open jumper aboard Cessna 24 during Old Salem Farm Spring I in North Salem, NY. April 28th, 2018 – 2nd place with the Riders USA team in the Riders Masters Cup during the Longines Masters of New York aboard Manodie II H in New York. April 27th, 2018 – 10th place in the Longines Speed Challenge during the Longines Masters of New York aboard Paola 233 in New York. April 26th, 2018 – 5th place in the Vestrum-Italy Masters One Trophy during the Longines Masters of New York aboard Crown 5 in New York. April 7th, 2018 – 8th place in the $368,544 Longines Global Champions Tour Grand Prix of Miami Beach CSI5* during the Longines GCT of Miami Beach aboard Manodie II H in Miami, FL. April 5th, 2018 – 2nd place in the CSI5* 1.45m two-phase during the Longines Global Champions Tour of Miami Beach aboard Paola 233 in Miami, FL. March 17th, 2018 – 3rd place in the $132,000 CSI3* Horseware Ireland Grand Prix during the Winter Equestrian Festival Week 10 aboard Manodie II H in Wellington, FL. March 15th, 2018 – 3rd place in the $35,000 Equinimity WEF Challenge Cup Round 10 during the Winter Equestrian Festival Week 10 aboard Manodie II H in Wellington, FL. March 7th, 2018 – 2nd place in the CSI2* 1.40m two-phase during the Winter Equestrian Festival Week 9 aboard Paola 233 in Wellington, FL. September 16th, 2017 – 3rd place in the $86,000 Fidelity Investments 1.50m Classic at the American Gold Cup at Old Salem Farm in North Salem, NY aboard Manodie II H.
September 16th, 2017 – 3rd place in the $35,000 Hermès Sellier Cup at the American Gold Cup at Old Salem Farm in North Salem, NY aboard Calista. May 18th, 2017 – 5th place in $35,000 Welcome Stake of North Salem at the Old Salem Farm Spring Horse Show Week 2 CSI3* aboard Manodie II H in North Salem, NY. May 14th, 2017 – 5th place in $50,000 Old Salem Farm Grand Prix at the Old Salem Farm Spring Horse Show Week 1 CSI2* aboard Manodie II H in North Salem, NY. May 11th, 2017 – 3rd place in $10,000 Open Jumper 1.40m/1.45m at Old Salem Farm Spring Horse Show Week 1 CSI2* aboard Calista in North Salem, NY. March 17th, 2017 – Winner of the Winter Equestrian Festival Week 10 1.40m Speed Challenge aboard South Street. March 15th, 2017 – Winner of the Winter Equestrian Festival Week 10 $6,000 1.40m aboard South Street. February 23rd, 2017 – 6th place in Section B of the Illustrated Properties 1.4om during the Winter Equestrian Festival Week 7 aboard Calista in Wellington, FL. February 23rd, 2017 – 6th place in the CSI5* $35,000 1.45m during the Winter Equestrian Festival Week 7 aboard Manodie II H in Wellington, FL. February 10th, 2017 – Winner of the Winter Equestrian Festival Week 5 1.40m Speed Challenge aboard South Street in Wellington, FL. February 2nd, 2017 – 4th place in the $35,000 Ruby et Violette WEF Challenge Cup CSI4* Round4 aboard Crown 5 in Wellington, FL. January 27th, 2017 – Winner of the Winter Equestrian Festival Week 3 CSI3* 1.40m on Manodie II H in Wellington, FL. January 26th, 2017 – Winner of the Winter Equestrian Festival Week 3 CSI3* 1.35m on South Street in Wellington, FL. September 17th, 2016 – Winner of the $35,000 Hermes Sellier Classic with Manodie lI H at the American Gold Cup at Old Salem Farm in North Salem, NY. September 16th, 2016 – Winner of the CSI4* $86,000 American Gold Cup Qualifier with Caleno 3 at the American Gold Cup at Old Salem Farm in North Salem, NY. August 30th, 2016 – 1st place in $10,000 Open Jumper aboard South Street at the 2016 Hampton Classic Horse Show in Bridgehampton, NY. August 31st, 2016 – 1st place in the $10,000 Royalton Farms Open Jumper with Crown 5 at the 2016 Hampton Classic Horse Show in Bridgehampton, NY. January 24th, 2015 – Winner of the CSI3* $127,000 Adequan Grand Prix during week 3 of the 2015 Winter Equestrian Festival in Wellington, FL with Juvina. 2015, 4th in the $40,000 Longines Cup at Hampton Classic, Bridgehampton New York, CSI4* 1.50- 1.60m on Crown 5. 2015, 7th in the Serpentine Speed Stakes, Dublin CSIO5* NC EUD1 1.50- 1.60 m on Caleno 3. 2015, 6th in the Irish Sports Council Classic, Dublin, CSIO5* NC EUD1 1.50- 1.60 m on Caleno 3. 2015, 4th in the Pan-Am Games Toronto, 2nd Individual and Team Competition 1.50m on Lilli. 2015, 1st in the Pan-Am Games Toronto First Qualifying Competition 1.50m on Lilli. 2015, 5th Spruce Meadows CSI5* at 1.50m on Lilli. 2015, 2nd Spruce Meadows CSI5* at 1.50m on Caleno 3. 2015, 2nd Spruce Meadows CSI5* at 1.45m on Washington Square. 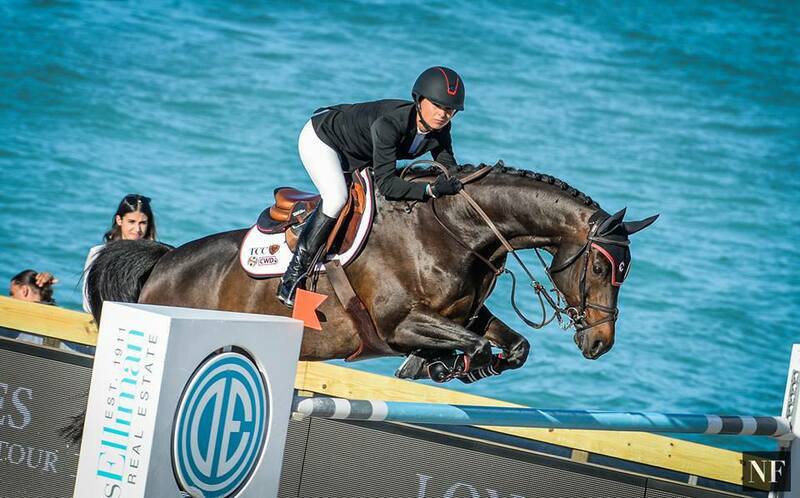 2015 6th American Invitational at the Longines Global Champions Tour Miami CSI5* 1.50-1.55m on Caleno 3. 2015, 3rd Grand Prix Wellington Miami 1.60m CSI5*on Lilli. 2015, 3rd Wellington Florida in Grand Prix CSI5* at 1.60m on Lilli. 2015, 2nd in the 1.45m at the WEF CSI4* on South Street. 2015, Team Silver for the Hermès U.S. Show Jumping Team in the Furusiyya FEI Nations Cup in Ocala, FL presented by Edge Water Brewing with Juvina. 2015, 5th in the $372,000 Suncast CSI5* Grand Prix during week seven of the WEF on Lilli. 2015, 3rd in the $500,000 Rolex CSI5* Grand Prix during the final week of the WEF on Lilli. 2015, 2nd in the $50,000 Old Salem Grand Prix at Old Salem Farm Spring Horse show on Caleno 3. 2015, 2nd in the $85,000 CSI5* ‘Continental’ Tournament Respol Cup Spruce Meadows with Caleno 3. 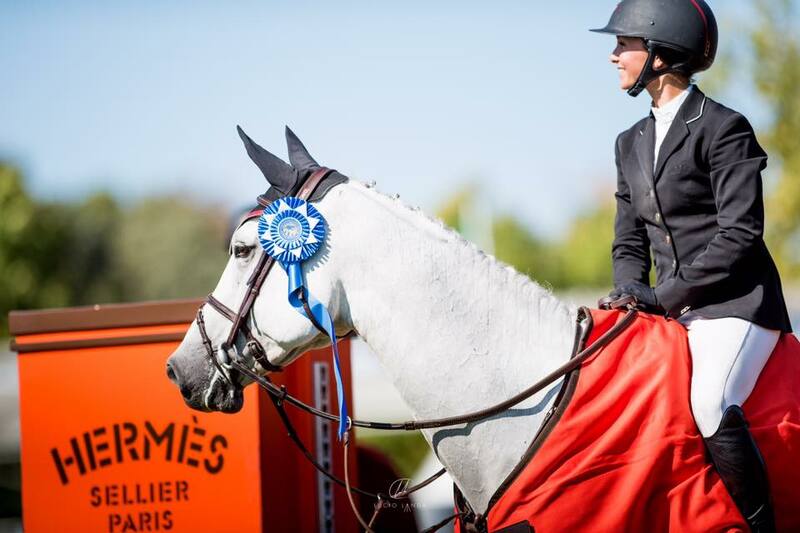 2015, 5th $210,000 CP CSI5* ‘Continental’ Tournament Grand Prix Spruce Meadows with Lilli. 2015, 5th $85,000 TD Cup during the CSI5* ‘North American’ Tournament on Lilli. 2014, Team Bronze for the USA in the Furusiyya FEI Nations Cup competition at CSIO5* Falsterbo with Juvina. 2014, Team Gold in the CSIO5* Gijon’s Nations Cup with a double clear effort on Juvina. 2014, 1st Central Park Grand Prix presented by Rolex CSI3* Wins $210,000 at 1.50m on Juvina. 2014, 3rd Grand Prix at the Longines LA Masters and National Horse Show with Juvina. 2010, 1st in Round 1 of the WEF Challenge Cup Series with Metropolitan. 2010, 1st Empire State Grand Prix with Metropolitan. 2010, 1st Bluegrass Festival Grand Prix in Kentucky on Fiedi 3. 2009, 1st in the eighth round of the WEF Challenge Cup with Street of Diamonds. 2009, 1st at the Hampton Classic with Fiedi 3.